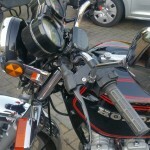 Restored 1979 Honda CB750KZ Motorcycle. 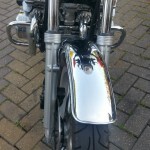 This Honda was the result of an 18 month project and was rebuilt from the ground up by its owner. The frame was stripped to bare metal, primed and painted. 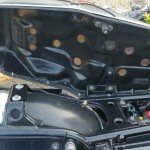 A complete new wiring loom was fitted. 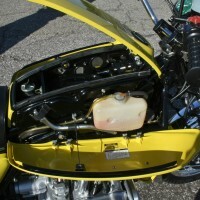 The carburettors were stripped, ultrasonically cleaned and rebuilt using rebuild kits. 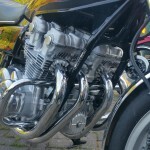 A rare set of original Honda exhausts were sourced and fitted. 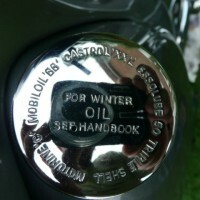 The brakes were completely refurbished including the pistons,seals, pads and shoes. 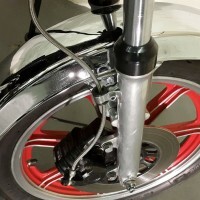 The forks were stripped and painted. 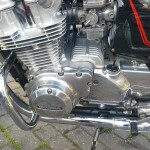 New stanchions were installed together with new oil seals. The regulator and starter solenoid were replaced. 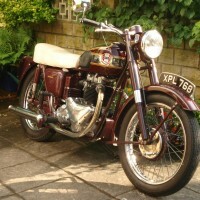 A very nice restored Honda CB750KZ Motorcycle. 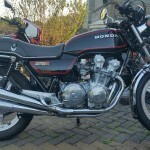 Honda CB750KZ – 1979 For Sale or Wanted? 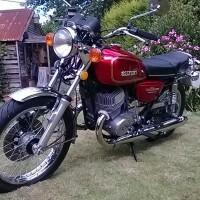 If you're looking for the perfect Honda CB750KZ – 1979 for sale then take a look at the hundreds of restored classic motorcycles listed on our extensive Motorcycles For Sale pages. 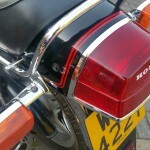 We regularly feature very nice restored Honda CB750KZ – 1979 bikes for sale. 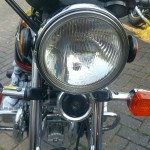 Spares and Parts for your Honda CB750KZ – 1979? 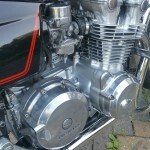 Workshop Manual for your Honda CB750KZ – 1979?